The LEGO Movie is the feature film you have been waiting for. See your favourite plastic bricks and minifigs in new storyline. The stop-motion film is a star studded affair featuring the likes of Will Ferrell, Chris Pratt, Elizabeth Banks, Morgan Freeman, Will Arnett, Nick Offerman, Alison Brie, Charlie Day, Channing Tatum, Jonah Hill and Liam Neeson. This epic tale follows the making of a hero. Emmet (Chris Pratt) is an ordinary construction worker destined for greatness. The ancient Vitruvius played by Morgan Freeman mistakenly identifies him as a Master Builder; not any Master Builder, but "the Special", the key to saving the universe. The LEGO world is in danger, the evil Lord Business (Will Ferrell) has laid his hands on the Kragle, a super-weapon capable of gluing together every piece of Lego in the universe. The fate of Lego hangs in the balance. 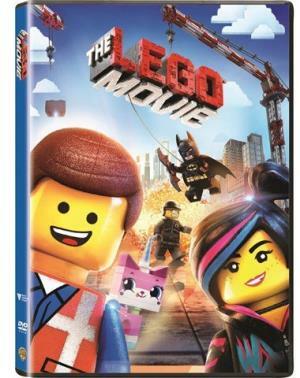 Join Emmet, Wyldstyle (Elizabeth Banks) and some of your favourite minifigs in the adventure of a life time. It's the world of LEGO like you have never seen it before.